The National Archives is home to a Digital Continuity Service. Digital continuity comprises of being able to use digital information in the way you need it most, and when. If you fail to ensure that you have digital continuity your information can be rendered useless. At DataSpace UK we recognise just how important Digital Continuity is. It enables your information to be found, used, worked with and understood in the ways that you need it to. A recent report from the UK’s National Archives has highlighted the digital continuity risks of large municipalities. The report found that only one of the 35 communities was utilising digital continuity at the correct level. It is vital that as a business you understand how important digital continuity is. Many of these authorities are in fact struggling to co-ordinate and communicate with the main internal figures in their management of information. This means that they are at risk of loss of data and valuable information. There has been a report titled ‘Scoping Report to the National Archives on the Local Governance Continuity Requirement’ which aims to highlight those risks, how to keep effective working relationships between key members such as information risk owners ICT managers and governance officers. DataSpace UK wish to highlight the importance of keeping your data and information as complete as it can be and available to be utilised in the manner that you, your business and other users require. From a government perspective, information is at its heart and fundamental to its everyday functions. But due care and consideration needs to be taken into account in order for the data to remain usable. 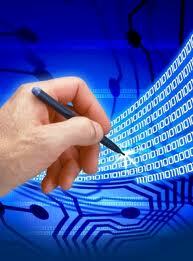 DataSpace UK offer a variety of data management solutions. So if you are worried about your data management make sure you speak to DataSpace UK. To find out more call us on 0800 028 8956. Please follow us on Facebook and Twitter.